Hunting can be one of the most enjoyable recreational activities around, and it can come with a huge payoff in terms of a tasty meal. However, gunfire can also be incredibly damaging to one of our body’s most sensitive organs: the ear. Read on to learn ways you can protect your ears so that you can continue to enjoy the sport of hunting for years to come. Obviously, you do not want to play around with your hearing capability. Higher quality ear muffs will directly translate into greater protection for your ears – something well worth the investment. If you are going to invest in great ear protection, you want to know for sure that it will work for you. Unfortunately, the human head and ears can be so varied that there really is no such thing as one-size-fits-all for ear muffs. With that in mind, you definitely want a pair that you can adjust to fit your specific sizing needs. Hunting requires being outside and shooting guns for hours and hours. Lower quality ear muffs might work when you are mowing your lawn for twenty minutes, but if you want something that will not hurt your head even over extended periods of time, you have got to go with higher quality. This is potentially the most important aspect of protecting your ears. If the muffs are not able to create a strong seal around your ear, it is basically like you are not wearing anything at all. This is particularly important for hunters who wear glasses – you will need to find some that can seal around the arms of your glasses. We will get more into this later in the article, but here’s a simple overview: gunfire is extremely loud and well over the recommended healthy decibel level to preserve your hearing. You need to find muffs that will reduce sound around you to back down to healthy levels. Earmuffs will not do you any good if you leave them at home. Get yourself a pair that will fold up easily, or come in a handy carrying case, so that you can just throw them in your hunting bag and head out the door. Now that you know what to keep in mind, let’s check out some actual products! The Howard Leight by Honeywell is the premier choice for hunting ear protection and our top pick. These are durable and can be used for a long time without losing their efficacy. They are tough enough to be used even in a downpour. They are easy to use, even when changing the batteries – which can be a real struggle for a lot of different noise canceling earmuffs, but not the Howard Leights! Battery replacement for these bad boys is simple and intuitive, and the batteries will last an incredibly long time. And these earmuffs are amazingly effective – you do not even have to take our word for it, just trust the users themselves. Hunters who also work in audio and sound equipment and need their hearing to be as sharp as possible in order to make their living, use these earmuffs, so you are almost guaranteed the best protection in the business. 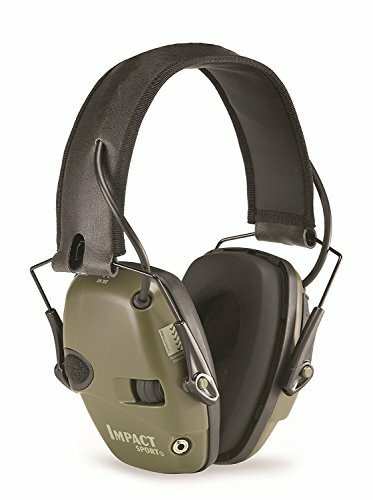 The Howard Leight by Honeywell Impact Sport Sound Amplification Electronic Shooting Earmuff is a fantastic method of ear protection that will keep your ears safe. Just know it is not designed for use at indoor shooting ranges. The ClearArmor 141001 Shooters Hearing Protections Safety Ear Muffs are another standout option for hunting ear protection, and our runner-up choice. 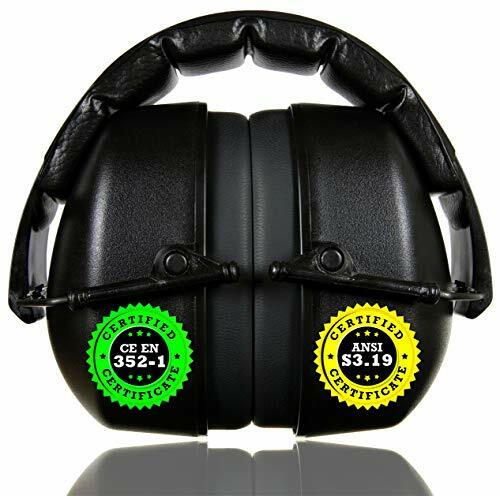 These actually have the best ratings from both the EPA and the American National Standards Institute, which recently updated their metrics for monitoring hearing protection. These muffs achieve the highest ANSI score. This accomplishment may be in part due to the awesome seal they are able to create around the ear – it is a strong seal even for those users who may need or want to wear glasses when hunting. And these muffs provide excellent sound-canceling. Users report no longer feeling the need to double up with both muffs and actual earplugs inside the ear. 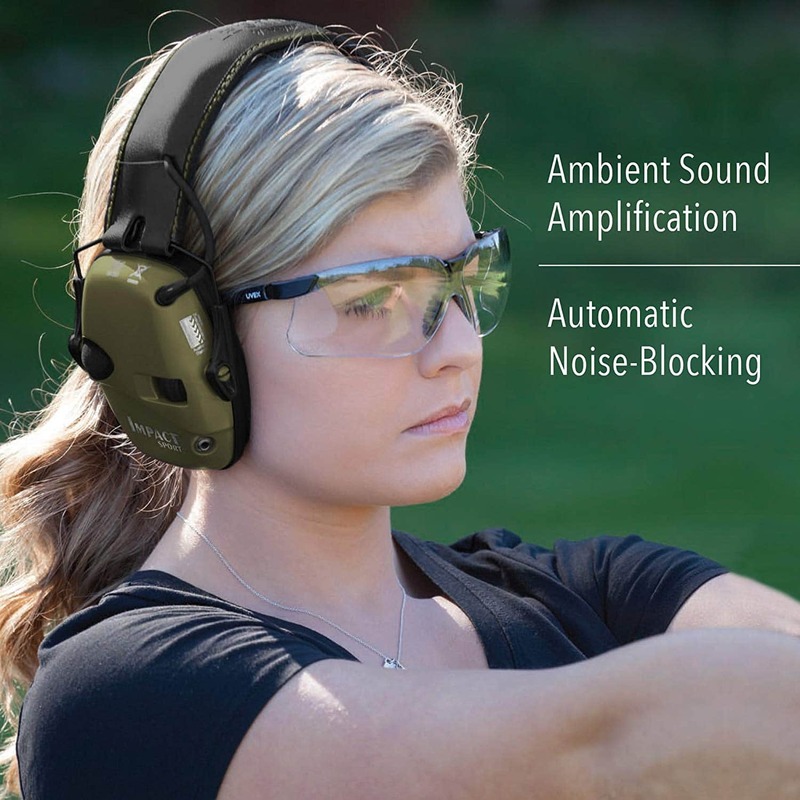 The ClearArmor 141001 Shooters Hearing Protections Safety Ear Muffs are wonderful products that provide some of the best noise-canceling options in the business. They can feel a little on the tighter side, though this is likely due to the excellent seal they create around users’ ears. The Mpow 035 Noise Reduction Safety Ear Muffs are awesome products that are pretty much unbeatable when it comes to striking the balance between quality and price. You may think that with the incredibly low price point, you will be compromising on sound blockage, but you would be wrong! 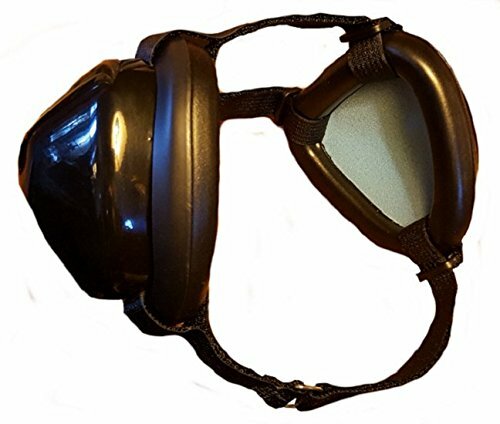 These are excellent at blocking out sound and come with a number of convenient features as well, including the ability to fold up for easy transportation and a convenient drawstring storage bag that you can just throw in with your hunting gear. They are guaranteed to stay in place for long periods of time, even if your hunting style involves shooting extremely large guns with a lot of recoil power – you will not have to worry about your ear muffs being jostled free. 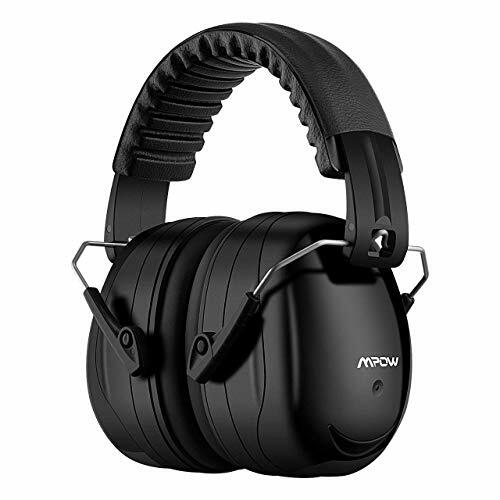 The Mpow 035 Noise Reduction Safety Ear Muffs are great products with a price point that is pretty much unbeatable. They are a little warmer than some of the other pairs on this list, though. 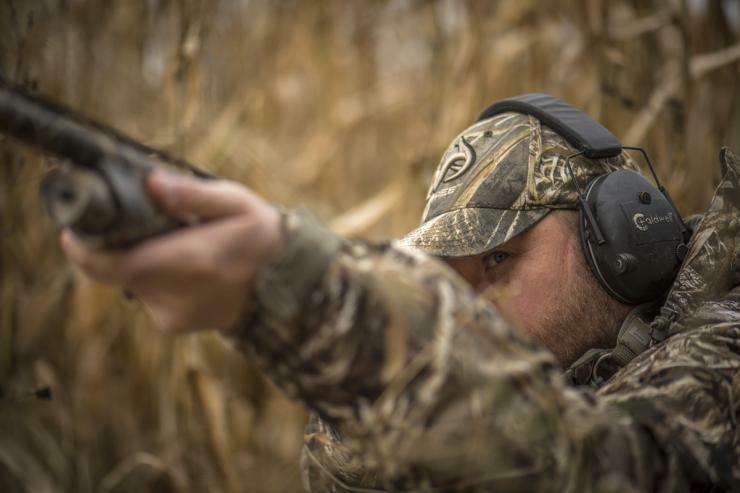 The Pro For Sho 34dB Shooting Ear Protection muffs are top-notch and our editor’s pick for hunting ear protection. These are ideal for hunters because the shape works really well for sighting and shooting with a rifle. The noise reduction provided is significant and effective – they even block enough sound to the extent that they can be safely utilized at an indoor shooting range. 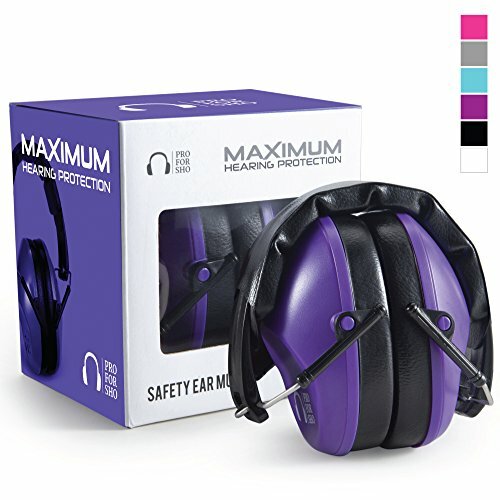 And, if the name does not already establish this fact, these muffs are a little more on the fun side – they have the option to come in awesome pink, purple, and blue colors, so these muffs could be particularly good for kids who you want to teach how to hunt and need the necessity of ear protection when firing a gun. The Pro For Sho 34dB Shooting Ear Protection are great and come with some fun aspects and solid ear protection. They arrive pretty tight, but can be easily stretched out and loosened to a comfortable level. The Mutt Muffs are an innovation in ear muffs – now, you will finally no longer have to feel guilty about taking your hunting dog out shooting with you and worrying about potentially doing damage to their hearing! Mutt Muffs are comfortable, effective noise blocking options for our best furry pals. These are made of high-quality material, and the interior has memory foam, so it will be able to mold specifically to your dog’s individual ear. So if you happen to have a mutt that has one ear that is bigger than the other (it happens! ), these will adapt to your dog’s unique situation. The three strap mechanism makes the muffs adjustable enough to fit dogs of all different sizes, so even if your hunting dog is a nontraditional breed (or you want to use these muffs to block out fireworks or other scary noises for a nonhunting dog), these will work. The Mutt Muffs are a revolution in doggie ear protection! They can be a little difficult to get on, but once they are on, your dog will thank you for saving their ears from harsh gunfire. This is the most common type for hearing protection. If you hear “passive protection,” that does not mean the product isn’t doing anything – it is actually doing quite a lot! It is just that it is protecting your ear by creating a strong seal and using thick foam, not by using any electronic energy. Electric muffs are just what they sound like – they use electric battery power to further enhance your hearing protection. These are especially great at blocking damaging sounds such as gunfire but still allowing you to hear conversation from the people around you. As mentioned on our list, there are ear muffs specifically designed to protect our furry friends, some of whom we rely on to help us with our hunting. Dog ears are even more sensitive than our own, so it is important to be mindful of their auditory health as well. It is not wise to mess around with your hearing, especially when it is such a necessary component of being a successful hunter. Make sure you are prioritizing your ear health (and your dog’s ear health!) by investing in good, quality ear protection. You can’t go wrong with any of the earmuff models reviewed on our list. Below are some questions people frequently have when looking for hunting ear protection. When Should Ear Protection Be Worn? Most Occupational Health and Safety departments would recommend that ear protection is worn if the noise level is going to exceed 85 decibels, which is a good range for hunters to try to stick to as well. Most guns at close range will produce 140 decibels of noise, so you should always at least bring along ear protection. How Do You Rate Ear Protection? Ear protection is rated using the NRR, or Noise Reduction Rating, which is typically also measured in decibels. Whatever the protection’s NRR is, that number of decibels is how much it is able to reduce sound by. So if you want to reduce a 140-decibel gunshot to below the 85 decibels recommended threshold, you will need something with an NRR of at least 55. Are Ear Plugs or Ear Muffs Better? There is not really a simple answer to this question because both devices serve different functions. Earplugs are great for blocking noise entirely because they are able to seal off the entire ear canal. Earmuffs are better for blocking ambient noise while still allowing conversation to occur.